Bike boom? What bike boom? Independent market research company Mintel has released its latest market report on bicycling in the UK and claims "the bicycles market had a difficult year in 2011 as a result of the squeeze on household incomes which affected discretionary leisure spending and also negativity surrounding changes to the Cycle to Work scheme, which suppressed demand from that source." Mintel added: "Some manufacturers also had too much inventory left over from 2011, which meant that there was more discounting than usual, impacting on average prices and feeding through to market value." 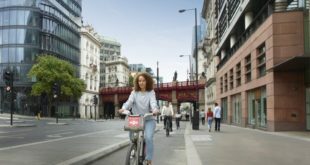 "The longer-term outlook for bicycles is positive, with demand expected to continue to grow during the next five years as the negativity surrounding the Cycle to Work scheme subsides and the UK economy begins to pick up again." Using easly retrieved financial reports from companies such as Raleigh and Specialized, and stats from customs and excise, Mintel attempts to analyse the health of the UK bicycle market. But with no accurate statistics provided, en masse, by UK bicycle suppliers, this is a notoriously tricky feat to pull off. 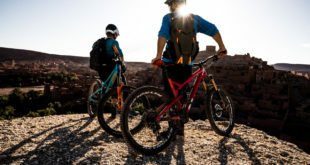 While it’s possible to guess at the number of bicycles sold, it’s much harder to be statistically accurate on the size of the parts and accessories business. The Mintel report costs £1750 per copy. The report said it answers the following questions: What can the industry do to counter peaks and troughs in demand? 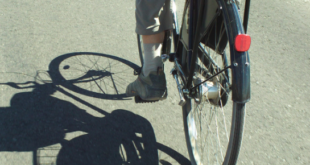 What can be done to overcome consumer fears about the danger of cycling on the roads? What can the industry do to capitalise on growing numbers of older people? The supposed boom in bicycle sales is mentioned by Mintel but not overplayed. Mintel projects sales of bikes to reach an all time high – with the market set to grow by a further 8 per cent on 2011 to reach £700 million in 2012. "The wheels are in motion for a boom time for the cycling industry as sales of bikes are set to gain momentum over the next five years. The market is forecast to increase an impressive 23 percent reaching £800 million by 2016." "The bicycle market had a difficult year in 2011 when sales fell 7 percent (almost £50 million) from £698 million in 2010 to £650 million in 2011. However, things are looking good for the bicycle industry, while volume sales of bicycles declined by 15 percent between 2006 and 2011, in value terms, the market saw strong growth of nearly a fifth (19 percent) reflecting a shift towards cycling as a leisure and lifestyle choice rather than buying a bicycle purely on price alone. Over the past five years, the retail price paid for bikes has increased by more than 40 percent." Michael Oliver, Senior Leisure Analyst at Mintel, said:“Although the UK market for bicycles contracted slightly in both value and volume terms in 2011, the longer-term prospects for the industry are very positive. "An unusual combination of circumstances led to oversupply in 2011, which resulted in discounting, impacted on both turnover and profitability. With obesity rates rising among both adults and children, there is clearly a political and financial imperative to encouraging greater physical activity and cycling is a relatively inexpensive way of doing this. 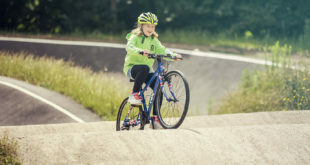 Role models in the Olympics means there is now an almost unrivalled opportunity to try to stimulate cycling participation but it needs some central funding and co-ordination." Citing external stats on attitudes to cycling, Mintel said 53 percent of the population agree that not enough is done about cyclists who break the rules of the road and a further 49 percent say it is too dangerous to ride a bicycle on the road. 41 percent say that having more dedicated bicycle lanes would encourage them to cycle more often. Next Cycle tourism businesses: For love and money?